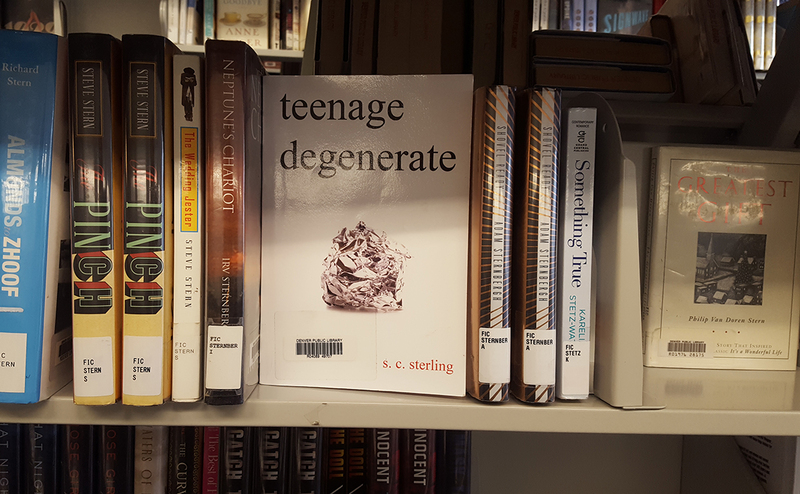 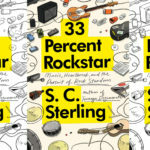 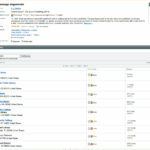 Teenage Degenerate from Colorado and Denver author Scott C. Sterling is now available at the downtown Denver Public Library. 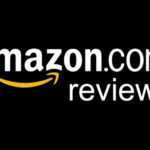 The library is located at 10 W. Fourteenth Ave. 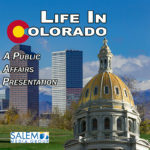 Pkwy., Denver, CO 80204. 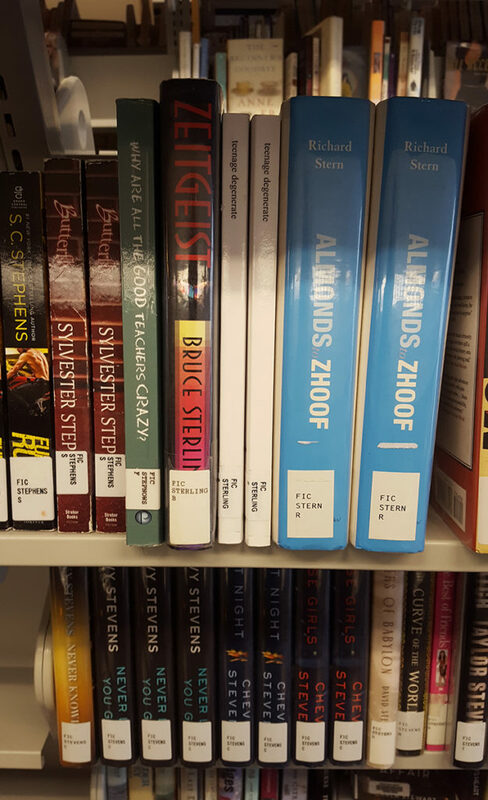 I recently took a trip to the library and located the book on the shelves between Zeitgeist by Bruce Sterling and Almonds to Zhoof by Richard G. Stern. 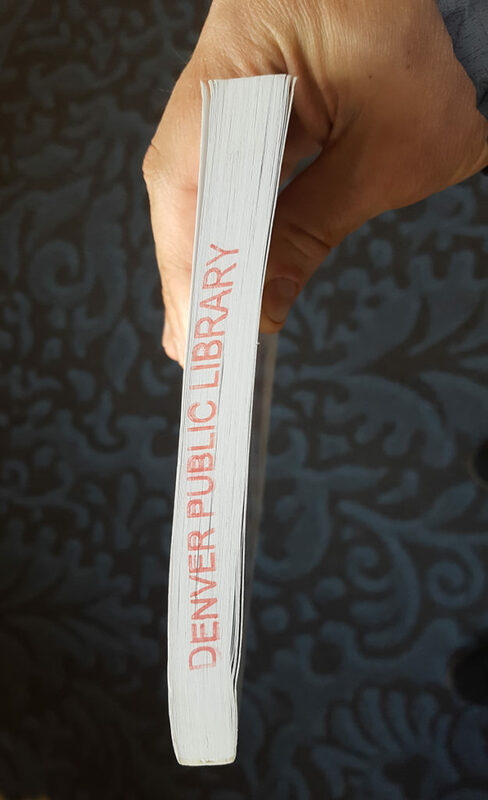 It was an surreal feeling to see a Denver Public Library sticker on the front cover.